Imagine what life would be like without electricity. No more computers or televisions. No more toasters or microwaves. Before electricity, people used candles and oil lamps for light. They used wood or coal to heat their homes. They used wooden boxes filled with ice to keep food cold. But what is electricity? Electricity is a secondary energy. That means that it is made from other energies, such as coal, water or wind. Static electricity is electricity that doesn’t move. A bolt of lightning is caused by static electricity. Have you ever noticed sparks in your bed at night if you’re wearing fleece pajamas? As you move, static electricity builds up between the sheets and your pajamas. Current electricity is electricity that flows. This is the type of electricity that you have in your home. Electricity is a secondary energy. That means that it is made from other energies, such as coal, water or wind. One flash of lightening could power 1000 houses for a whole year. Lightning lasts one second, but can create up to 3 million volts of electricity. Electricity travels at the speed of light, which is more than 186,000 miles per hour. In a power plant, electricity is made when steam from boiling water makes huge wheels spin in a turbine. Generators use the energy from the spinning wheels to make electricity. The boiling water can be fueled by coal, water or wind. Usually it is fueled by coal. 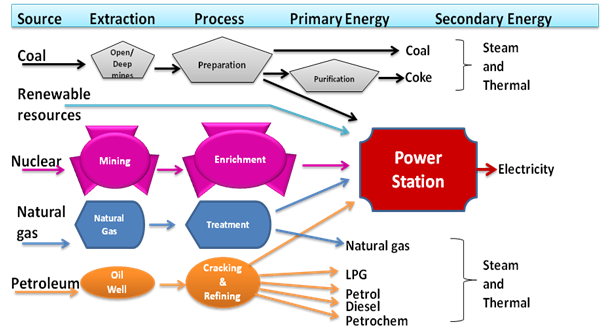 All About Electricity: See how electricity is made from steam in power plants. Electricity comes from the power plant through underground or overhead lines to your home. It enters your home through a service box that keeps track of how much electricity you use. When you plug an appliance into an outlet in the wall, electricity flows into the appliance to make it work. Benjamin Franklin proved that lightning is a form of static electricity. A video about how electricity current flow works. Question: Did Benjamin Franklin discover electricity? 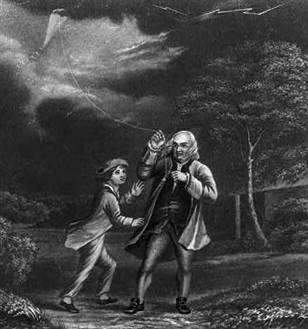 Answer: Benjamin Franklin proved that lightning is a form of static electricity. Answer: Electricity is very dangerous. It has the power to kill you. Never get close to power lines or stick your fingers in an electrical outlet. Enjoyed the Easy Science for Kids Website all about Electricity info? Take the FREE & fun all about Electricity quiz and download FREE Electricity worksheet for kids. For lengthy info click here. Declan, Tobin. " Facts About Electricity - How It Works for Kids ." Easy Science for Kids, Apr 2019. Web. 18 Apr 2019. < https://easyscienceforkids.com/all-about-electricity/ >.